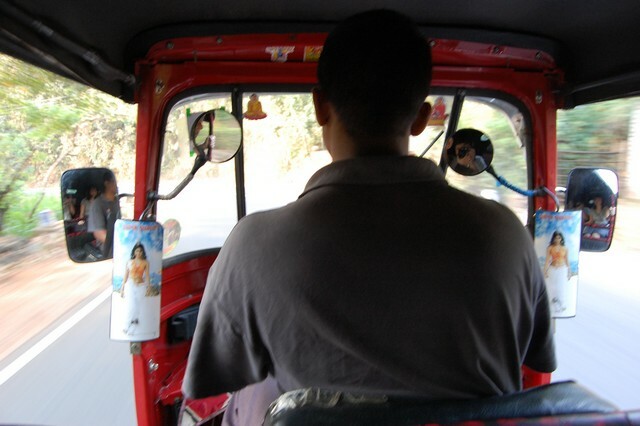 As most people may know, when it comes to getting around, the three-wheeler or Tuk-Tuk is king! No matter how big your bag is or how many people there are, a three-wheeler can manage it! Ella is no different to anywhere else in Sri Lanka. But what might be surprising is that for such a small town, there sure are a lot of three-wheelers! But once again, here's a great insiders tip! There is one driver by the name of Gamani who I used all the time who was reliable and didn't give me the 'hard sell' about going to get a massage! 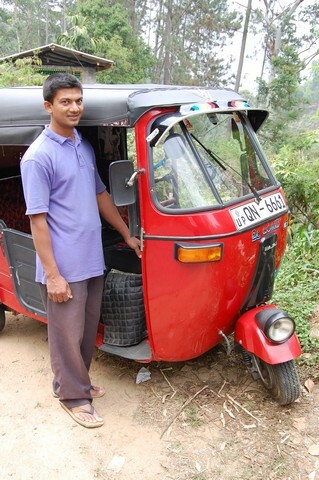 Now for rp100 he will pick you up from the station and take you to any hotel of your choice in Ella. This is a good deal as the drivers who wait at the station will try and get at least rp150 to do the same trip. We also took a trip with him that took in some of the local sites of Ella and the nearby towns. During this trip he pointed out loads of interesting things along the way, he stopped off where ever we wanted for photos and was our unofficial tour guide and photographer. For rp3500 he will take you on a trip that will last around 4/5 hours and take in some great sites (see interesting places). This price is for two people and includes any entrance fees to sites and a couple of refreshing coconuts along the way! I would suggest that you take this trip at around 8am, as we had each place we went to, to our selves! Also take a towel as you can swim around in the waterfalls! 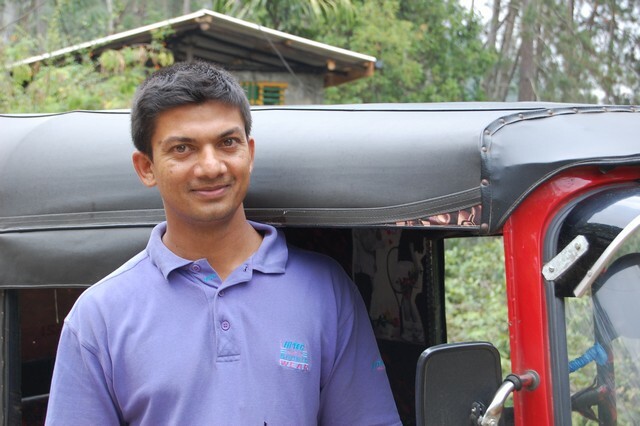 Give Gamani a call before you arrive on +94 (0)7750 66560 and he will meet you at the station.